Have you seen the movie “Dunkirk?” If so, I’d wager you’ve trashed it. Let me guess; nothing about the flying scenes was right; a Spitfire could never glide that long; the burning Spit was fake; some placard was in the wrong place; the tires were underinflated; How many did I get? One, two, maybe more? Movies are not to be nitpicked for accuracy or impossibility. They exist to offer suspension of disbelief, entertainment, and a method for rapidly sharing complex stories. Furthermore, nitpicking has its hazards. You say, “A Spitfire cannot glide that long?” If that’s your problem, ask yourself the following question. 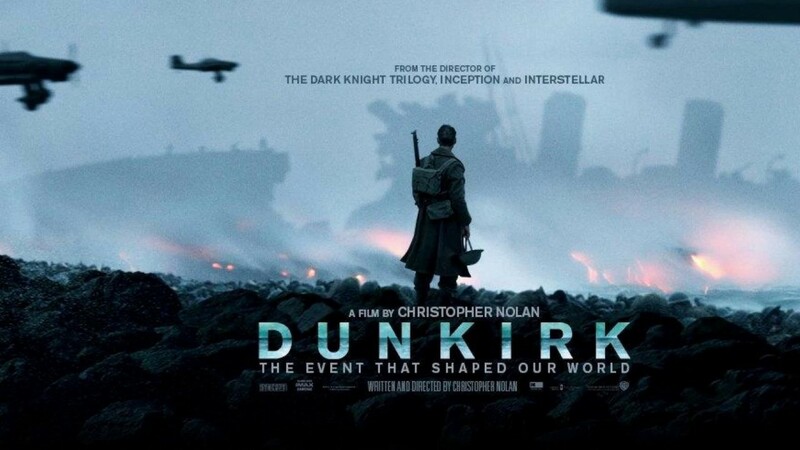 Did the British soldiers form lines on the beach, word go out to the “civilian fleet,” and well over 300,000 British troops make it across the channel back to country, ride trains to their hometowns, and share the story with their families in less than two hours (the running time of the movie)? No, of course not. How then could you be critical of the aviation scenes? To be clear, my goal is not to make you feel bad for such comments. Instead, all I want is to ask you to think. Think about Dunkirk. There was a moment when the world held its breath, unsure of what the outcome would be. Would the British flag stand? How would the situation come down? Sound familiar? Dunkirk is a film about a critical point in Western Civilization, and those at the helm of the production chose to use aviation as a metaphor for the moment. I’m sitting there, my pilot friends are hissing, and all I can see is aviation as the unremittent defender of freedom. Fighting back, running on fumes, through hours and days of pensive uncertainty, the Brits managed to land on their feet and stand defiantly against the Germans. What’s not to like? Still not sold? If so, consider this. Non-pilots attendees of the movie Dunkirk will come away viewing aviation as a hero of the day - a gallant defender of freedom. Why would you want to change that? Never miss an opportunity to include Stukas. I have not seen the movie, however, nit pick a documentary for the wrong aircraft or improbable performance. This is a MOVIE, it is entertainment and should be viewed for the overall aesthetic of the scene. I wasn't crazy about it, but I don't pick any of the nits you point out. Dunkirk is one of the greatest military stories ever. It's about all of those selfless civilians in pleasure yachts, sailboats, and fishing boats, shuttling the Channel over and over again to rescue the BEF, and with it the UK, from oblivion. My problem with the movie is that it doesn't tell the story of Dunkirk. If you didn't know anything about it before you saw the movie, you didn't know anything about it after, either. Unlike Normandy or Pearl Harbor, Dunkirk is a story that hasn't been told on film (as far as I know). A Major Motion Picture owes the audience an explanation of the historical forest before telling the stories of individual, fictional trees. Dunkirk is a story worthy of a Saving Private Ryan. Sadly, the story remains untold. But you're right; the flying scenes are lovely. SWF, it sounds as though you already know the story. Didn't need a movie to educate you. How did that happen? I think maybe people owe it to themselves to know some history. You certainly learned it. Why haven't others? A movie could never do that in two hours. TeeSix Eclipse and a Bright Day.